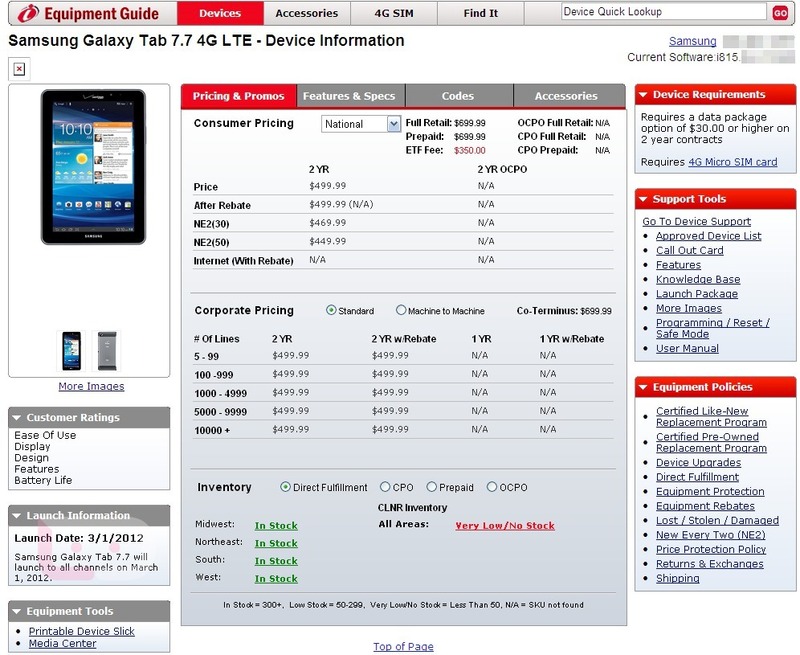 Verizon and Samsung announced their newest 4G LTE tablet dubbed the Galaxy Tab 7.7 at CES back in January. A release date did not accompany that announcement, but we have it for you today. March 1 is their target – that would be this Thursday – with a price of $499 on contract or $699 off. While that price will likely turn everyone off, we were impressed by the device itself when we fondled it for a couple of minutes at the beginning of the year. It’s powerful, ultra slim, has a beautiful screen, and will power through any task you throw at it while remaining portable. You can check out that video after the break.